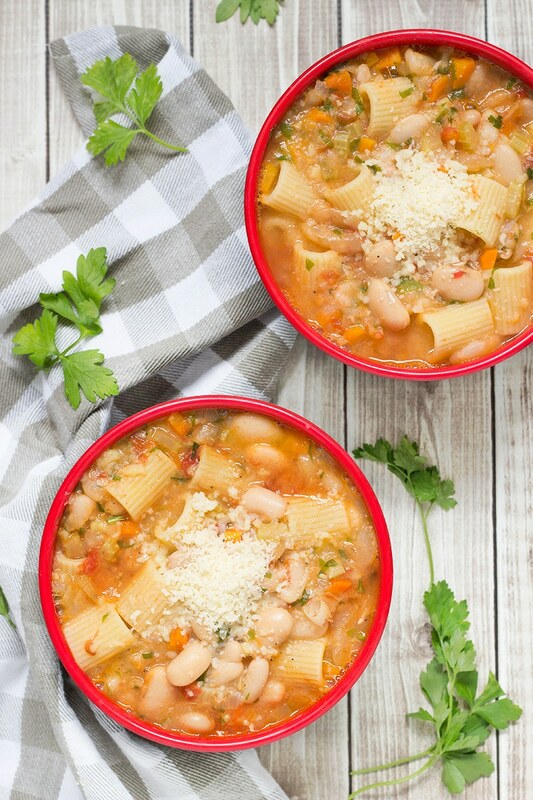 Pasta Fazool, better known as Pasta e Fagioli, is a classic Italian pasta, tomato, and bean soup. Comforting, filling, and nourishing, it will warm you up on a chilly fall or winter day! I have never been vegetarian, let alone vegan, I am not now, and unless something really radical happens (lightning strikes me or smth like that), I never will be. But make no mistake here, I respect all the people who have chosen to go meatless. The courage to give up something, whether it’s alcohol, meat, fast food, or anything else, deserves a huge respect. Because of my obsession with meat, I am not on good terms with vegetarian dishes. When my wife prepares them, I always add some meat in the end. Sounds silly? Or maybe I am not alone in acting this way? What do you think? Tell me in the comments section below. However, sometimes, in very rare occasions, I accept the vegetarian dish as it is. 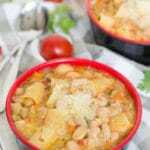 That’s the case with this classic Italian pasta and bean soup called Pasta Fazool, or Pasta e Fagioli. Pasta e Fagioli simply means “pasta and beans” translated from Italian, while Fazool is the way it’s often pronounced in the United States and other western countries (from the Neapolitan language, “pasta e fasule”). In fact, this dish can be prepared with some meat: Italian bacon pancetta is used in most cases, but the majority of recipes I found in the books I own were meatless, so I decided to skip the meat this time. You can put some pancetta inside if you want to! There are actually many different versions of this famous dish and it varies from region to region. The only thing that always stays the same is the foundation – pasta and beans. The type of pasta is usually some sort of short tubular pasta, like elbow macaroni, ditalini, or other. Pasta Fazool also, almost always, includes tomatoes: either fresh or canned. Such staple soup ingredients as garlic, onion, carrot, celery are also present in almost every version of this delicious soup. 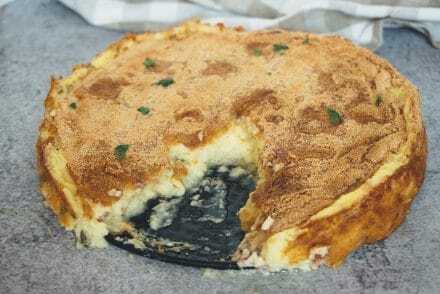 The Pasta Fazool recipe I am sharing with you also uses a boiled potato as a thickening agent. I love it, because I always prefer creamy soups over clear ones. This Italian soup is really filling, thanks to pasta and few cans of beans. Not even for a second have I missed meat here! So comforting, so flavorful, so… GOOD! I can easily understand why it’s so popular in the boot-shaped country. If you are reading this right now, TRY it! Pasta Fazool will surely make the list of your favorite soups ever. 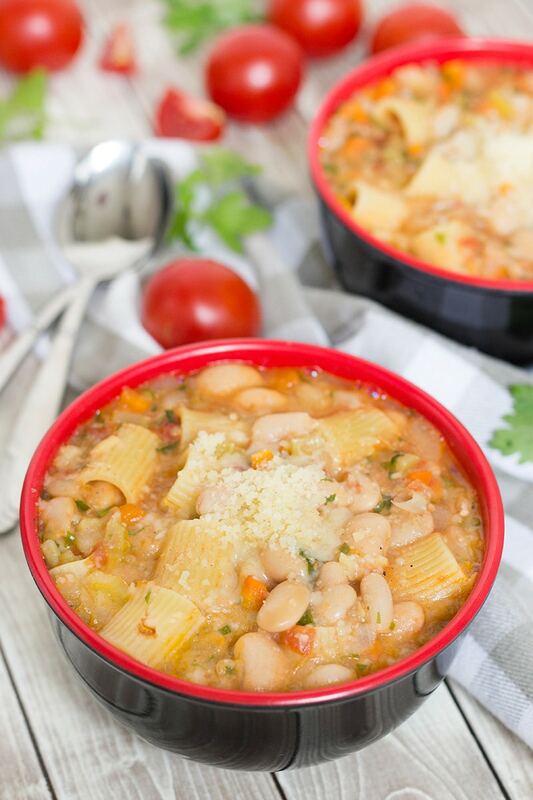 This comforting and filling Italian pasta, tomato, and bean soup is guaranteed to warm you up even on the coldest winter day! First of all, put your potato in a pot with water, bring to a boil, and cook until tender, for about 30 minutes. Meanwhile, prepare all the veggies. When the potato is cooked, heat 3 tablespoons olive oil in a soup pot over medium-high heat, and cook the onion, carrot, celery, and garlic for about 5 minutes, until the veggies start to brown. Discard the garlic cloves. Add the tomatoes and cook for 5 minutes more. Add 2/3 of the beans (should be about 2 cups), season, and cook for about a minute. Add the water or the vegetable broth. Peel the potato and mash it together with the remaining 1/3 of the beans with a fork or any tool you like and add to the pot. Add the bay leaf, and bring the soup to a boil. Lower the heat, cover, and cook for 15 minutes. Add the pasta and cook until it's done. Stir in the parsley and serve. Drizzle some of the remaining olive oil and sprinkle some Parmesan over each bowl. Enjoy! Love it! 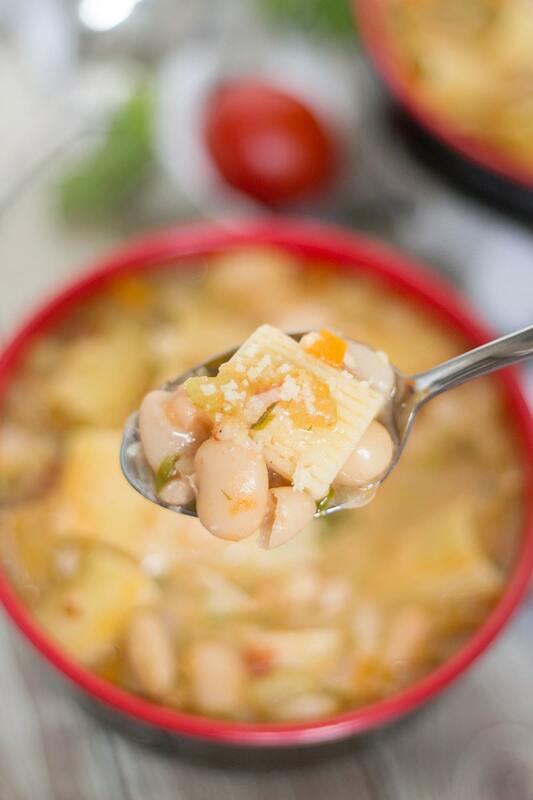 This soup reminds me of Minestrone – another Italian classic! I love anything Italian and if I could I would be eating pasta 24/7! 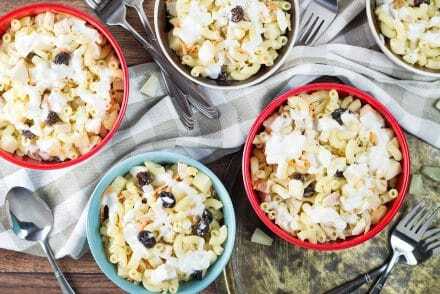 This looks so satisfying – a really comforting dish, and filling with the pasta too. I am so excited that we are coming in to soup season and comforting soups like this are going to very much be eaten a lot! I love soup!! 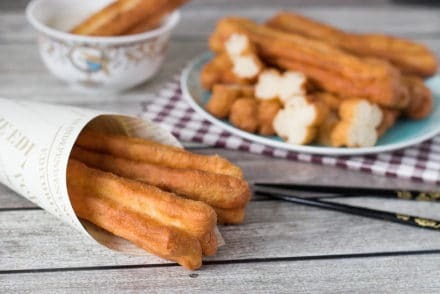 In Brazil, we have something very similar to this recipe. Looks delicious! Actually, Pasta Fazool, is just American-Italian, as no one would know what that is in Italy ? They would call it Pasta e Fagioli or a dialect version of this. It is, as you said, a very warm and comforting dish. with my Italian Mom in law (now deceased) many years ago. The family is from Coreno Ausonio, Italy. Town near Naples. It certainly “is” an Italian dish. They have introduced it to the American culture for us to enjoy. I make it all the time for my Italian, German, English family. Husband 100% Italian. I am the other half of the equation! Thought I would share. Your recipe sounds good as well. A little different from my version. Thanks for your recipe though. I will have to try yours too. Thank you for the comment, Sandy! It would have been awesome if you would tell what’s different in your recipe 🙂 It’s always interesting to know!